In case you're not familiar with the feature by chance, zoom-to-fill basically crops a bit off the tops and bottoms of 16:9 videos to eliminate black bars on phones with taller aspect ratios. A frequent tipster, Shane, let us know about this, and it was confirmed by multiple people to be new on this r/Essential thread in YouTube v13.34.50 (available via APK Mirror). It didn't work for everyone immediately, though many people saw the functionality appear after uninstalling and updating YouTube. Clearing cache may be needed as well. 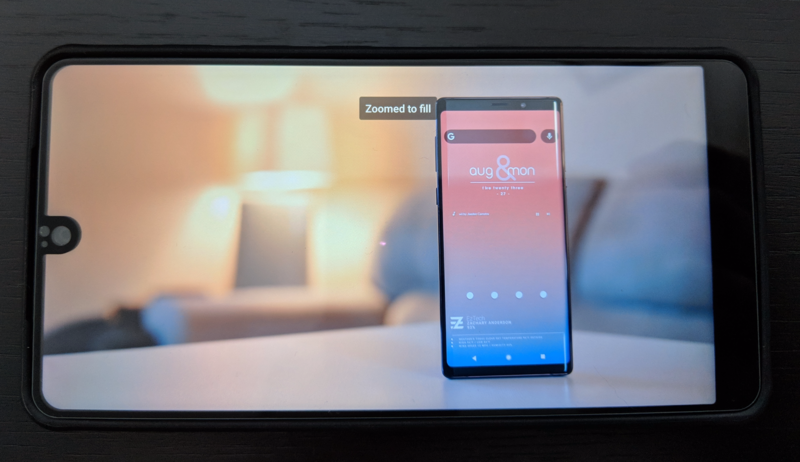 So if you've got an Essential Phone, enjoy finally being part of the somewhat elite YouTube zoom-to-fill club. You will have to deal with that notch eating into the video, though.